We are a full service title insurance company complete with an in-house title plant. 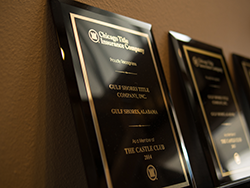 Gulf Shores Title Examiners represent a wealth of experience in the title industry with relevant backgrounds that range from paralegal studies to banking. Each examiner is required to complete the Land Title Institute courses, which are dedicated to training in all areas of title search and examination. We only bring aboard the brightest and most experienced examiners to ensure you get the best possible result. 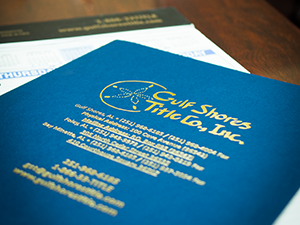 Gulf Shores Title Closing Agents provide closing services for residential and commercial transactions as well as 1031 and other types of exchanges. Our experienced closing agents are exceptionally service-oriented and ready to assist prior to and throughout your closing process. Their combined experience in closings, banking, finance and real estate ensure that a professionally managed process is followed. 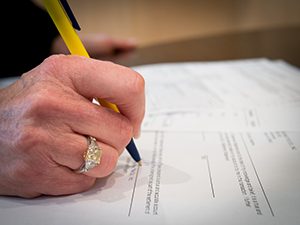 First American Title Insurance Company and Chicago Title Insurance Company underwrite our title insurance. These two companies are widely regarded as the premier title insurance underwriters in the country. They maintain offices in Birmingham and are always available with counsel to assist with any legal issues which may arise.